Brian Tracy has uncovered the secret ingredient that sets apart the ultra-successful from the average…SELF-DISCIPLINE! Read the first chapter of this powerful, life-changing book for FREE and begin learning how to develop the powerful habits of self-discipline. With this proven formula you’ll immediately begin accomplishing more in a month than most people accomplish in a year! 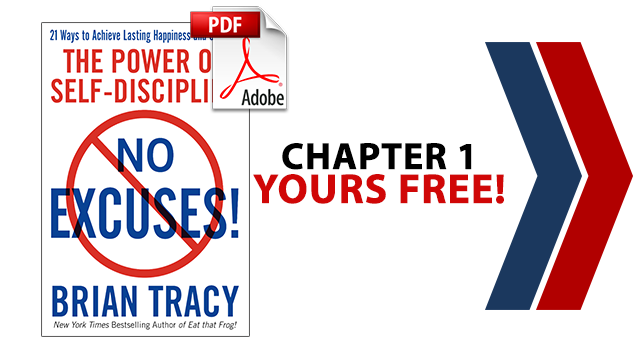 Enjoy this free chapter as congratulatory gift for taking action and changing your future! You deserve it! As a bonus, we’ll send you the newest issue of our newsletter. You may unsubscribe at anytime. Copyright Brian Tracy International. All Rights Reserved.